You are here: Home › Hull Welding F.A.Q. 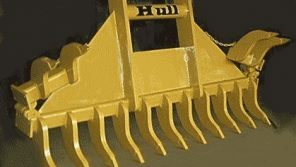 Hull Welding is located in Rotan, Texas. 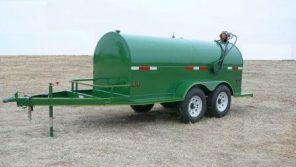 We manufacture portable towable fuel tanks, and repair and build farm and agricultural attachments and equipment. We use high quality ASTM-A36 carbon steel in the construction of our tanks and trailers. Need a portable fuel tank for aviation use? When requested we also use stainless steel for aviation use. We use the remaining materials to build custom firepits and BBQ’s and our famous “WAK” the firepit/wok combination. We are a family business and are committed to one-on-one relationships with each of our customers. Need a custom build? We can do it. Our community is part of our commitment to giving back and supporting our neighbors. How long does it take to manufacture a tank and trailer? Each tank is made-to-order. Typically, we can put together a fuel tank and trailer rig in a week. We ask you to order at least three weeks in advance of your preferred delivery date. Do you need more than one tank? We can put together one or a fleet, whatever your needs are, and we stand behind our products 100%. Are all your tanks made in the U.S.A.? We build the tanks right here in Rotan, TX, and whenever possible choose American made materials first. Those materials are not always available to us and in that instance, we order materials from overseas. All tanks and products are assembled in Rotan, TX. Do you make tanks for use in aviation? Yes, if you need a portable refueling solution for helicopters or light aircraft, we can also use stainless steel for aviation fuel tanks. Are the firepits safe to cook on? What materials are they made of? 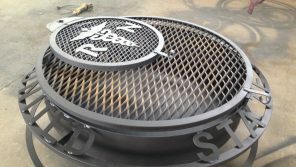 Our fire pits are constructed of high-quality ASTM-A36 carbon steel, same as our tanks, but we prefer to cook over the pit.